Florida Life Care Planning St Petersburg | DeLoach, Hofstra & Cavonis, P.A. Worrying about an aged or disabled loved one results in many sleepless nights. This is true whether your loved one is a parent or a spouse; whether you live with your loved one, around the corner, in the next town or across the country. Researching answers to the questions regarding care of an elderly or disabled loved one consumes countless hours. With your busy, hectic schedule, how will you find the time to get the help you need? DeLoach, Hofstra & Cavonis, P.A. ’s experienced, supportive and knowledgeable Elder Law attorney, "Rep" DeLoach, is here to provide you with answers you need, relieve your anxiety and ultimately offer you peace of mind. Through the process of Life Care Planning we establish a relationship that assures life-long quality care for your elderly or special needs family member, along with asset protection and legal guidance. 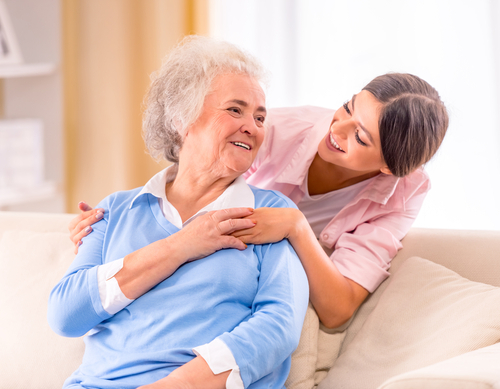 To assure the greatest success, we involve all interested family members so that you better understand where your loved one is within the continuum of care analysis. While the elderly person’s quality of life and wellbeing is our focal point, whole family participation makes sure your highest priorities are met and that you are involved in all important decisions on an ongoing basis. A Life Care Plan holistically addresses all the tough questions about your loved one’s long-term care, now and in the future. It’s the ultimate protection for elders and their families. Life Care Planning is a process whereby the legal, healthcare, and financial needs of an elderly person are evaluated and a plan is developed to meet those needs in an economical fashion while protecting and preserving the income and assets of the senior to the greatest extent possible. The elements of a Life Care Plan include the evaluation of the immediate, mid-term and long-term care needs of the person, followed by the development of a plan to provide the type of assistance the person will need during each time frame and then determine how to best pay for that assistance. A Life Care Plan combines, in a single convenient package, the elements of protecting and preserving the income and assets of the elder or disabled individual with the assessment and coordination of the care needs for the individual. DeLoach, Hofstra & Cavonis, P.A. takes a holistic, interdisciplinary team approach in developing these plans. We consult with other legal professionals, health care professionals, financial professionals, durable medical equipment providers, insurance company personnel, employees for various government and charitable organizations, professional care providers and family members in order to determine, obtain and pay for the kind of care our client (your loved one) deserves. With the Life Care Plan, you will get the peace of mind that comes from knowing that you or your loved one is safe, getting the right care, and that you will have a place to turn for health care and other concerns. The best time to enter into a Life Care Plan is when you or a loved one experience, or are formally diagnosed with physical or mental impairment. That is when our life care planning team can go to work, helping to assess your family's situation, keep family members safe and provide the family with the guidance they need. If you have an elderly or special need loved one whose care you are concerned about, your family is a candidate for a Life Care Plan. Whether you have an immediate crisis or you are planning for the future of your loved one, your family could benefit from having a Life Care Plan in place. Still not sure if you need a Life Care Plan? We offer a free initial consultation to see if your law firm is right for you. We help get your loved one the care they need today. We plug you into our network of community services and resources. We help increase the chances that your loved one can continue to live in their home. We help you put their legal and financial affairs in order. We help protect assets for the elder's benefit. Your join our long-term care planning team with help from our attorney, elder care coordinator and public benefits specialist. With a Life Care Plan, your loved one gets the right care sooner, maximum independence for as long as possible, and the ability to age with dignity. With a Life Care Plan, the primary caregiver never have to wonder if you’re doing everything you can for your loved one. Life Care Planning is a new approach to the challenges created by long life and disability for residents of Seminole and all Pinellas County. The Life Care Plan at DeLoach, Hofstra & Cavonis, P.A. is an elder-centered specialty of elder law. We feature an inter-disciplinary team that works together to identify present and potential future care needs, help locate appropriate care, and help ensure high-quality care. With a Life Care Plan from DeLoach, Hofstra & Cavonis, P.A., your family will never be left alone to ensure quality care. The team at DeLoach, Hofstra & Cavonis, P.A. surrounds you with the resources, support, and guidance you need to make decisions with confidence. You are never alone! Our team has years of experience guiding families through situations similar to the one you may be facing now. We have access to the resources you will need to protect your loved one’s quality of life. You do not have to go through your aging process alone! When you need help, our Life Care Planning practice is here for you.